Through email, phone calls, forums and occasional blog comments we read, we see questions that are often repeated so we maintain a FAQ to provide the public with these questions and our responses. When sending an email, please provide your full name, address and phone number as we we may choose to respond with a phone call. However, without this information, we will not respond to messages. Under no circumstances are you to copy and paste clips of any email response from Arne to any forum nor does anyone have permission to quote me in a public forum. Due to International Trade in Arms Regulations (ITAR), we cannot provide technical information to non-US Citizens or non-legal residents of the United States of America. Question – Can I buy 375 RAPTOR brass? Question – How does Raptor Shooting Systems make 375 RAPTOR brass? Answer – Raptor Shooting Systems has invested in automated technology that can produce 375 RAPTOR brass efficiently and quickly. Raptor Shooting Systems only uses new commercial brass, not once fired military brass that has been fired in machine guns. Winchester is the primary supplier of new commercial 308 Winchester brass used to produce 375 RAPTOR brass due to it being the best combination of value and quality while yielding the highest powder capacity – Winchester brass can yield up to 2 grains additional powder capacity compared to military brass. Question – Can I make 375 RAPTOR from military brass? Answer – Yes, you can, its no different than making from commercial brass with the added steps of de-crimping the primer pocket. Remember, like all loading and reloading, you need to develop your loads for your specific lot of components. You wouldn’t think about loading a volume of ammunition with different lots of powder with the same powder charge. The same best loading practices apply to brass and you wouldn’t think of loading the same powder charge with a mixed bag of Remington, Federal, Winchester and Lapua brass because there will be differences in brass weight and thickness. Therefore, you should apply the same due diligence to loading with military brass and should not load identical powder loads using different lots of military brass. Remember, military brass typically holds 1 to 2 grains less powder than commercial brass so loads developed with commercial brass will need to be reduced accordingly. In addition, the maximum load will occur at a lower charge weight. If you are recycling or buying once-fired military brass, be especially diligent in inspecting the brass for any flaws you can see and dispose of any cases that appear to have a flaw or any damage. The majority of military 7.62 NATO brass was fired in machine guns so goes through a lot of abuse. Question – What do I need to buy to get started with the 375 RAPTOR? Answer – Order a barrel, a set of reloading dies and a power case trimmer (if you don’t already own one in your reloading tool collection). Also be sure to have a chronograph for proper load testing. Question – Who makes reloading dies for the 375 RAPTOR? Answer – OMEGA RIFLES and CH4D both have die sets ranging from $50 to $110 per set. Question – Is the 375 RAPTOR just a 308 Winchester necked up to .375 Caliber? Answer – No, the 375 RAPTOR changes the shoulder angle from 20 degrees to 35 degrees to provide a well defined datum point for the cartridge to headspace. In addition, the 375 RAPTOR is .150″ shorter than the 308 Winchester which permits up to .935″ of bullet exposure while keeping within magazine length – required to load the 350 grain Sierra Match King magazine length. Question – What led you to decide on a .375 caliber in a modified 308 Winchester case for the 375 RAPTOR? Answer – In conducting research on the qualities that come together to create an ideal hunting cartridge and rifle with many seasoned big game hunters experienced not only in taking the largest North American game animals, but in the pursuit of African game (We are talking people whose life passion is hunting and see a rifle as a tool). There was a consensus of opinion that the ideal cartridge combines a large frontal area caliber with 250 to 300 grain bullet that impacts the game at a velocity between 1800 and 2400 fps at ranges between 50 and 300 yards and accomplishes this level of performance in a lightweight 18-22 inch barrel rifle that can be carried all day. Heavier / longer rifles they felt were cumbersome in the field and high velocity cartridges did not work as effectively at the ranges common in hunting bear, moose, wild boar or African game. Taking that input, from people who live to hunt and have done so for decades, the 375 RAPTOR came into vision, but not only for performance reasons, but also to eliminate the proprietary collection of parts and parent brass that plagues other big bore offerings created for other lightweight rifles. Question – Why was the 375 RAPTOR neck shortened and not just left full length after resizing? Answer – The 375 RAPTOR was designed to be able to shoot magazine length the full range of .375 caliber bullets including the Sierra 350-Grain Match King which has a .720 BC below 1700 fps. Why does that matter? If you shoot subsonic, the 350-Grain Match King has 60% more energy at 100 yards when fired subsonic than the 300 AAC BLACKOUT shooting a heavy OTM bullet subsonic. In addition, the 375 RAPTOR gives options like the Barnes 350-Grain TSX or Lehigh 295-Grain Controlled Fracture. In the following photo, you can see how the Sierra 250-Grain Game King compares to the Sierra 350-Grain Match King. Question – Does the 375 RAPTOR’s 35 degree shoulder impact feeding in a semi-auto rifle? Answer – No, due to the large neck diameter of the 375 RAPTOR, the height of the body at the shoulder in relation to the neck diameter is only .024″ per side. Increasing the shoulder angle to 35 degrees provided a well-defined datum point on what is a very minimal shoulder area for head-spacing. Question – Why didn’t you lengthen the case or blow the shoulder forward to get more powder capacity? Answer – This was an interesting question by an end user in Feb 2019 who was having a discussion with someone on facebook. (I am not on facebook and don’t care to be). I believe the person who he was having a discussion with wants to optimize the round for 260 grain bullets. First, the overall case length of 1.865 inches allows use of almost every 375 caliber bullet within the 2.800 inch overall length the LR308 and AR10 can support. Making the case longer , you will start restricting bullets that the cartridge can use which starts reducing the versatility of the cartridge. Now if you are trying to move the shoulder forward by blowing it out, you have to start adding a fire forming step which even if using a cheap bullet, is going to cost you 50-60 cents a shot with the cost of bullet, powder and primer. In addition, leaving the brass full length will reduce the versatility of the cartridge by limiting the bullets you can use. For example Sierra 350-Grain Match King, Barnes 300 and 350-grain bullets, or the Lehigh speciality subsonic bullets will all become unusable. If you go so far that you have to start with 30-06 brass, you now have lost the ability to use 308 Winchester and 7.62 NATO brass which is far more abundant than the 30-06 unless you have a stockpile of 50-75 year old surplus brass which is nowhere near the quality of current manufactured 308 Winchester brass. The US NAVY coined the acronym KISS in 1960 and the great Kelly Johnson of the Lockheed Skunk Works applied this same principle to design and production of the some of the greatest aircraft every built. The KISS principle or “Keep it Simple Stupid” premise is that designs and processes are at their best if kept simple, avoiding complexity. Second, increasing powder capacity doesn’t always mean higher performance especially if you are already achieving maximum pressure loads which in that case, more powder is useless. Increasing capacity without increasing the amount of powder will then mean the introduction of air space in the case which generally reduces the consistency of performance. To get back to a high charge density without air space in the case, you have to shift a bulkier powder or slower burning powders and you may not achieve any higher performance due to their energy content per until of weight or volume. In other words, you may actually not increase the capacity enough to gain any increase in performance. Third, going back to optimizing the round for 260-grain bullets, If you are talking about the 260 grain Nosler Accubond and bumping the shoulder and chamber to seat to 2.800″. Beyond, loosing the simplicity in brass forming with no fire forming step (not fire-forming saves you time and money), possibly loosing the ability to use 308 Winchester as a parent case, and loosing the ability to shoot speciality long bullets, it also means other bullets like the 270 Speer are going to jump even further which may degrade their accuracy. Designing a cartridge for one bullet is fine for an extreme competition rifle where a person accepts limitations in exchange for maximizing performance. However, those of us who shoot long range competition know, you better hope that one bullet is always available and you won’t be left high and dry when bullets go out of stock due to panic buying in the market like as happened on more than one occasion during the past 20 years. Finally, if you absolutely insist on pushing the performance of one single bullet that much more, bump the throat of the chamber which will let you seat the longer and thereby increase case capacity. However, accept you will limit the versatility of the cartridge with other bullets as you may degrade their accuracy. Bottomline, end users are proving the 375 RAPTOR is delivering 1/2 inch groups at 100-yards and maintaining high levels of accuracy out to 300-yards with hunting bullets. Question – How does the 375 RAPTOR compare to a 375 H&H MAGNUM? Answer – While both are .375 caliber, the cartridges are in different classes. The 375 H&H MAGNUM is formidable cartridge, but it requires a long magnum action and a long barrel to make use of the large case capacity. In contrast, the 375 RAPTOR is a cartridge designed for short-action rifles and the 308 AR (AR-10, LR308, SR-25 and G2) and can be used with barrel lengths from 10.75 inches to 22 inches giving the user a light weight easy handling hunting rifle. So the 375 RAPTOR and the 375 H&H MAGNUM are in different classes, designed for entirely different platforms. Question – How does the 375 RAPTOR compare to 6.5 Creedmoor, 308 Winchester or .338 Federal? Velocities and Ballistic Coefficients for the 6.5 Creedmoor, 308 Winchester and 338 Federal were obtained from published data at Nosler.com for the Nosler Accubond. The 375 RAPTOR performance is as tested and published under the loading tab on this website. All calculations were performed using JBMBallistics.com. Conclusion: Don’t get my wrong, I love the 6.5mm, otherwise I wouldn’t have designed what became the 6.5 Grendel 22 years ago and own a 6.5×47 Lapua. Furthermore, 308 Winchester is an all time classic and still is an outstanding cartridge, but the 375 RAPTOR has almost 1,000 ft-lbs more terminal energy at 200-yards than the 6.5 Creedmoor. Even compared to the 338 Federal which is at its maximum bullet weight with a 225-grain, the 375 RAPTOR has bullet options available up to 350-grains while still operating within a 2.800 overall length. Question – How does the 375 RAPTOR compare to other Big Bore cartridges (50 Beowulf, 458 SOCOM, 458 HAM’R, 450 Bushmaster 45 RAPTOR and 500 Auto MAX)? Claiming muzzle energy might be impressive, but in the real world, on target – where it counts, the 375 RAPTOR has significantly more energy at 200-yards than an other AR-15 or AR-10 Big Bore. Second, only the he 375 RAPTOR is a direct barrel swap with all other parts standard except for a standard PMAG you modify yourself with a common flat file. Every other cartridge listed requires special parts beyond a barrel and even if you modify your own magazine to work for those cartridges, it is no longer functional with the original cartridge it was designed for. 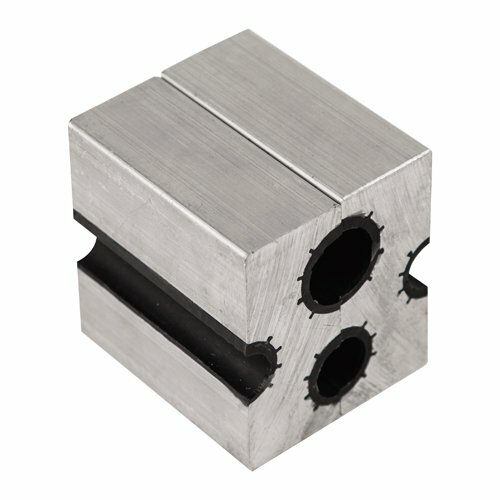 Finally, you can make your own 375 RAPTOR brass from 308 Winchester or 7.62 NATO brass by resizing and trimming in normal operations. Question – How does the 375 RAPTOR compare to AR15’s .375 caliber offerings like the 375 WHISPER, 375 SOCOM, et al? Answer – The 375 WHISPER is based on necking up a 7 BR case and the 375 SOCOM based on necking down the 458 SOCOM whereas the 375 RAPTOR is based on modifying 308 Winchester or 7.62 NATO brass using a single resizing step and normal case trimming. I hear talk of another new round claiming that you can use your old 308 Winchester and cut it down to less than 1.6 inches and be able to push a 235 grain Speer Hot Cor to 1800 fps muzzle velocity. Beyond the simplicity in forming the 375 RAPTOR from abundant 308 Winchester or 7.62 NATO brass, using nothing more than a full length resizing die and case trimmer (leave the chop saw in the garage), the 375 RAPTOR will out perform these AR-15 rounds with a significant performance edge. If you take an AR15 round promoting 1800 fps muzzle velocity with the 235 Speer, the 375 RAPTOR has a muzzle velocity of 2525 fps with the 235 Speer – 700 fps higher muzzle velocity. To put this performance in perspective, the 375 RAPTOR will give you 1800 fps with the 235 Speer, but it will be 270 yards downrange, not at muzzle. Which now brings up an important point about bullets. 1800 fps is impressive for a handgun bullet that are designed for use at low velocities with large hollow-points to deliver expansion at reduced velocity thresholds. However, to gain that low velocity performance, you create a bullet that is far less aerodynamic than your typical rifle bullet and this difference is easily seen in the ballistic coefficients of handgun caliber bullets vs rifle bullets. Now, 375 caliber is a rifle caliber and the bullets are designed for use at muzzle velocities between 2300 and 2800 FPS. 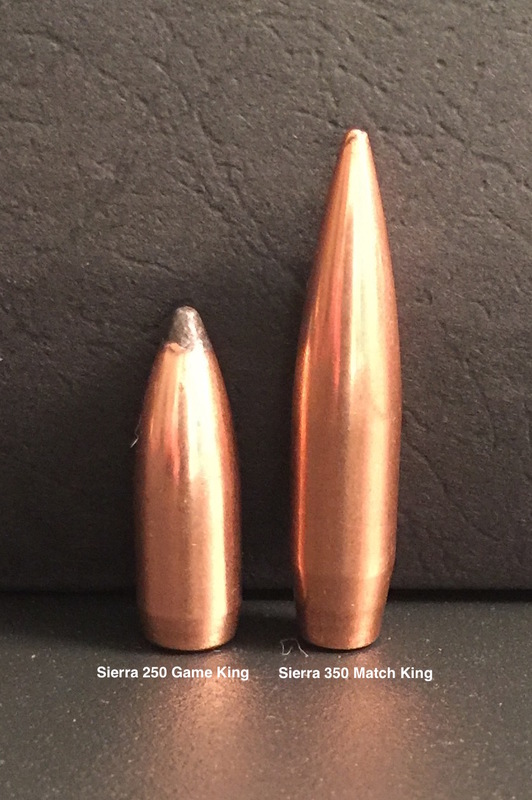 If you look at the Nosler Accubond or Nosler Partition, both well respected hunting bullets which are what you would want to use take a trophy Elk or Moose, the clear guidance is to have a minimum impact velocity of 1800 fps so unless that Elk or Moose is standing right in front of you, the idea that shooting such a bullet at 1800 fps or less muzzle velocity is pretty useless. Its even more ridiculous to even broach the idea that you will have a 300 yard hunting rifle with a cartridge that only generates 1800 fps or lower muzzle velocities. Question – How is the 375 RAPTOR more powerful than other big bores for the AR-15 and AR-10, isn’t a bigger caliber with heavier bullet more powerful? The results are clearly evident, using a 300 grain bullet, .375 Caliber has 195% greater terminal energy at 200 yards than .499 Caliber; 155% greater terminal energy than .458 Caliber and 151% greater terminal energy than .452 Caliber. Keep in mind that the .499 Caliber (50 Beowulf) and .458 Caliber (.458 SOCOM) options for the AR-15, cannot achieve 2,165 fps in a sub 20 inch barrel configuration with a 300 grain bullet and you should never attempt to push those cartridges beyond their design limitations. In contrast, both of our big bore designs (45 RAPTOR and 375 RAPTOR) can achieve 2,165 fps (or higher velocity) when loaded in sub 20 inch barrel configurations. Question – What programs do we use to calculate ballistics? To make the most of using it, here are some helpful hints on the inputs tab. Question – The 300 AAC BLACKOUT has been shown to chamber in a 5.56×45 chamber with dangerous results. Can the 375 RAPTOR chamber in a 308 WINCHESTER barrel creating a dangerous situation? Answer – No, the 375 RAPTOR cannot chamber in a 308 Winchester barrel. A .375 caliber bullet has a major diameter that is .032″ larger than the outside neck diameter of a 308 Winchester round and the 375 RAPTOR case neck is .062″ larger than the outside neck diameter of the 308 Winchester. 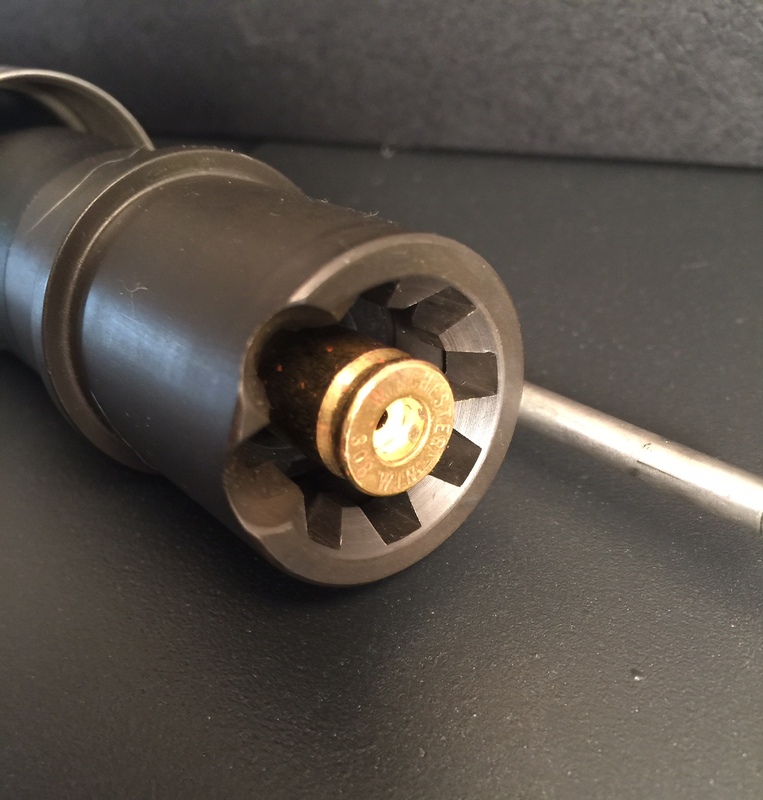 As the expression goes, “a picture is worth a thousand words”, the following photo is a 308 Winchester barrel made by a well-known manufacturer with a 375 RAPTOR dummy round, loaded with a 270 Speer BTSP, pushed as far into the chamber as possible. As you can see, the 375 RAPTOR extends from the chamber a significant amount, so much that the base of the case extends beyond the rear face of the barrel extension. As such, the bolt lugs will not engage the barrel extension giving a very clear visual indication to the user that something is wrong. Furthermore, the bolt carrier will not be far enough rearward that the trigger hammer will not engage the firing pin. Now, if you are someone who accidentally chambers a .308 Winchester in a 375 RAPTOR, the 308 Winchester will chamber. Upon firing, the case will fire-form with lower pressure than a .308 Winchester as the pressure vents around the bullet which is .067″ smaller in diameter. The bullet will exit the bore without any spin since it will not engage the rifling. The firing will be noticeably different compared to firing the 375 RAPTOR and the case may not eject due to the lack of proper gas pressure. Question – When shooting an SBR (Short Barrel Rifle), what is the minimum velocity required to remain effective at 200 yards? Keep in mind these are minimum muzzle velocities required to achieve 1800 fps on target at 200 yards. Any increase in muzzle velocity will result in an increase in maximum range where 1800 fps in achieved on target. For example, the Nosler Accubond in both 260 and 300 grains with a muzzle velocity of 2300 fps will achieve a 300 yard range with the bullet impacting at 1800 fps. Using an 18-22 inch barrel will achieve higher muzzle velocities than a 10.75 or 12 inch barrel and therefore, greater effective range. This does not negate the value of a 10.75 or 12 inch barrel SBR especially when confronting a Grizzly Bear in the woods of Alaska. Question – What about a suppressed 375 RAPTOR using subsonic loads for hunting? Answer – The 375 RAPTOR was developed specifically to use the Sierra 350 grain Match King loaded from the magazine which is no small feat given the length of the bullet ogive. In addition, it works magazine length with the Lehigh 295 Controlled Fracture bullet designed specifically for subsonic use. Other possible subsonic bullets to consider would include the Sierra 300-Grain Game King or Barnes TSX Flat Base in either 300 or 350 grains. Using the Sierra 350 grain Match King, the 375 RAPTOR has 60% more energy at 100 yards than the 300 AAC Blackout. Suppressors tested include the Bowers VERS 458, VERS 50 and VERS 9S equipped with stainless steel baffles. The suggested powder for subsonic use is Vihtavouri Tin Star which is a bulky powder developed for cowboy action shooting. Not only does this powder result in high case fill levels, it is very clean burning. Question – What can you tell us about the 375 RAPTOR for tactical applications? Answer – Our public discussion on the 375 RAPTOR, or any of our others cartridges, is limited to sporting use, primarily the hunting of wild game or target shooting. That being said, we don’t publicly discuss possible tactical use of any cartridge or platform. If an organization has questions regarding any cartridge for professional use, they are welcome to contact us directly. You can be assured, we will never discuss the existence of those conversations or any professional use, if it occurs, publicly. Question – If you were to recommend a few bullets for the 375 RAPTOR, what would they be? Answer – I would suggest the Speer 235-grain Soft Point, the Sierra 250-grain Game King, the Nosler 260-grain Accubond and the Speer 270-grain BTSP. For speciality bullet makers, the Lehigh Defense 175 grain Match or Controlled Fracture bullets as well as the 250 grain Controlled Fracture bullet is especially useful for SBR applications or light recoiling (for a .375) carbine. Question – What 375 RAPTOR barrel length do you recommend? Answer – In a lightweight carbine, an 18-inch barrel would be a good choice. If you seek to extract more range, a 22 inch barrel would give you an extra 50-100 fps over an 18-inch barrel, depending on the powder / bullet combination. A 12-inch SBR or Pistol equipped with a brace can be a compact solution especially for hunting bear or hogs inside of 200 yards. Question – What is the recommended 375 RAPTOR gas system for the AR-10 / LR308, SR-25 and G2? We do not believe in over gassing guns which seems to be a common problem when buying barrels because no barrel maker wants a barrel to come back because it is short cycling. The problem of over gassing becomes even worse, when you add in the number the people who now own suppressors, shooting both subsonic and supersonic ammo and the options can give anyone a headache. Use a high quality adjustable gas block (that actually adjusts from wide open to fully closed) and use the maximum gas port size (.120″) and tune your gun to cycle reliably with your chosen load. We actually designed a gas block we use that has a selection of jets (like carburetors had). Not only do we know exactly what port we end up with, but can change jets at the range without even removing the gas block. If you want one of these, call Scott Medesha at 480-986-5876 and they cost between $100 and $150 depending on how many jets you want. If you absolutely don’t want an adjustable gas block (we have all had bad experiences with ones that leak or the adjustment seems like a knob you just turn and turn), you can start with a small port (you can always make the port larger) and increase the gas port by heading to your machinist / industrial supply and get a collection of high speed steel or carbide reamers. I paid $14.95 each for individual carbide reamers as a walk-in customer at Bass Tool & Supply in Houston, TX. To expand a gas port, I use a barrel clamp (see photo), a small drill press, press vise and some light oil to lubricate the the reamer and increase the port in small steps (.004″-.006″). Be sure to properly line up the reamer and the existing port, take your time and only open the existing port, not going too deep and hitting the other side of the barrel. Of course, be sure to clean the barrel afterwards to remove an small shavings. The whole process takes about 5 minutes. If you want to know what it looks like when you have a proper gas port, your rifle will be throwing brass about 4-5 feet away, not 15 feet. Keep in mind, when you are working up loads and are starting with light loads, you may experience short cycling or no cycling, that is normal as you are generating enough gas pressure to cycle the action. Question – Who can make 375 RAPTOR barrels? Answer – Any barrel maker or gunsmith is welcome to offer the 375 RAPTOR, they can contact JGS Precision Tools to order a reamer and gauges. Question – We are a company that makes LR308 uppers, can we make 375 RAPTOR uppers to sell to our customer base? Answer – Yes, you can. X-Caliber Barrels has listed the 375 RAPTOR as one of their barrel offerings so you can get with them and I am sure they will accommodate your order for barrels. Question – I have a Remington 7600 Pump Action Rifle, who can I talk to about getting the barrel changed? Answer – Accuracy Systems in Colorado lists barrel replacement and rifle tuning services. The company has been in business for a long time and I know them from doing barrel replacement and tuning services on the Ruger Mini-14 and Mini-30. While they don’t list the 45 RAPTOR or 375 RAPTOR, they do list they are open to cartridges they don’t currently list so you just have to ask and be the first. Question – In there any licensing fee or permission required for anyone to make the 375 RAPTOR? Answer – No licensing fee or permission is required, we have already notified JGS Precision Tools, CH4D and Whidden Gun Works they are free to sell reamers and dies to anyone they want. If you are going to use my designs, respect the name and don’t try to take credit for my work. 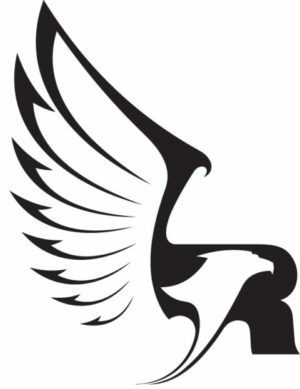 Question – Can I use the 375 RAPTOR name if I want to make a cartridge of my own design? Answer – No, as is clearly stated on this website, I claim copyright of all content on this website including the design and dimensions. If you want to design your own wildcat, make it original and call it an original name, but don’t create an association to the 375 RAPTOR or my name by using any part of the 375 RAPTOR name or my name. QUESTION – Where can I find 375 RAPTOR loading data? Question – Who is the 375 RAPTOR creator? Answer – Arne Brennan, who is known for the 6.5 GRENDEL, 45 RAPTOR and 7 RAPTOR. Question – Who else contributed to the 375 RAPTOR? Answer – Scott Medesha of Medesha Firearms, who has been building AR creations for over 25 years, has been a long term contributor and sounding board for my designs after working with me to build the first 6.5mm AR-15 in the late 1990’s. Question – Where does the RAPTOR name come from that you use for your cartridges? Answer – The name RAPTOR has its origin as a bird of prey in hunting. In addition, the developer’s first name has its origin as the old Norse name for “Eagle” which is also the inspiration for our logo. Question – Can the 375 RAPTOR being used in the AR-15? Answer – No, the 375 RAPTOR cannot be used in the AR-15 due to cartridge overall length and the maximum operating pressure of 62,000 PSI. The AR-15 is a great lightweight carbine and should be appreciated for what it is, but the platform has limitations. Through all the attempts to make the AR-15 more powerful with special bolts and other parts, the simple truth is the AR-10, LR-308, SR-25 and G2 is a far more robust platform which allows performance to be taken to levels beyond what is possible with the AR-15 and do so with a higher level of safety and reliability. Even speaking of my original design that led to the 6.5 GRENDEL in the AR-15, the 6.5×47 LAPUA, 6.5 CREEDMOOR and 260 REMINGTON in the AR-10, LR-308, SR-25 and G2 surpass anything that can be done with the 6.5 GRENDEL. Don’t get me wrong, the 6.5 GRENDEL is what I set out for it to originally be, a good cartridge for 200-600 yard target shooting and a 300-yard whitetail deer or feral hog gun. I am proud of it, because it took the AR-15 and made the rifle a valid sporting rifle, but I am also very aware of what it is not. Question – Can the 375 RAPTOR be used in an M-1A, FAL, G3, etc.? Answer – Any rifle that was originally designed to use the 7.62 NATO or 308 Winchester can be converted to 375 RAPTOR. However, semi-auto rifles are more than a barrel, there are all the elements that make the rifle a semi-auto that have to be perfected to make the rifle cycle. So Yes, it can be done, but it will require someone with strong enough interest in one of those rifles and is willing to invest their money and time to do it. In addition, it will require someone who specializes in those platforms to undertake the project to make a barrel and do all the tuning as required to make it work. The bottom line, it will cost you a lot more than $300-$400 for a barrel and by the time you add all the tuning work, the cost could easily exceed $1000. So while I appreciate your liking the M-1A, FAL or G3. In the United States, the AR10 / LR308 is the dominant semi-auto 308 Winchester rifle made and sold in the civilian market during the past 10 plus years with many companies offering a product under many different names. The development work has been done and if you want to convert your existing rifle, its as simple as buying a barrel that is ready to be installed. Of course, with the proliferation of parts and accessories, you can just assemble a rifle from scratch. Question – Do the developers of the 375 RAPTOR have anything to do with the 375 Reaper? Answer – NO! We never have even spoken to the people involved with that cartridge. We did find reading the performance claims quite interesting given we knew what performance we have been getting with the 375 RAPTOR, a larger cartridge with 50% more case capacity, during the past 2 years of development and knew that the performance claims of that much smaller cartridge were highly suspicious. As historical background, Arne Brennan and Scott Medesha have over 50 years of combined experience developing cartridges for the AR15 and other platforms. Arne Brennan started his 6.5mm project on the AR-15 in 1997 and that projectile directly led to the 6.5 GRENDEL being released by Alexander Arms in 2004. In addition to the 375 RAPTOR, 45 RAPTOR and 7 RAPTOR, Arne developed the 300 SKADI which propels a 230-grain Berger at 3125 fps for use in 1,000 yard F-Class. Arne is NRA Classified High Master in F-Class Shooting. Scott Medesha was on the leading edge of building competition AR-15’s as early as the late 1980’s and was putting 6 PPC’s in AR-15’s in 1990 looking for ways to improve the competition performance of the AR-15. Scott is a past member of the US PALMA TEAM and is an NRA Classified High Master in Long Range Prone Shooting. Question – Will the 375 RAPTOR work in a FAL or “insert another firearm name”? Answer – The 375 RAPTOR was developed to work in a Direct Impingement LR308 / SR-25 platform as well as Remington 700 / Model 7 Bolt Actions and the Browning BLR Takedown Lever Action. We have not done any development using other semi-automatic rifles or using gas piston systems, nor do we have plans to. Question – I built my LR308 and its not cycling,, what is wrong? In total, the correct parts (buffer and spring) have a retail price of less that $40. Do not use an AR15 buffers and springs in an LR308, they are not the same. You must use the correct buffer and spring for the LR308 and your stock which includes the correct buffer tube. Do not use Armalite AR10 Buffers and Springs in a LR308, they are not the same. You must use the correct buffer and spring for the Armalite AR10 and your stock which includes the correct buffer tube. If you don’t know what you have, call the manufacturer of your lower receiver and ask them specifically. Start your gun off with the correct parts before you run down the freeway with special buffers and / or springs thinking you will accomplish something. This includes heavier buffers, hydraulic buffers,special captured spring buffer systems, flat wire springs, special spring materials or springs that have been subjected to some special treatment process. What bullet / powder combinations are end users finding most popular? The most popular powder people are using is Alliant Reloader 10X and Alliant 1200R. Most end users who have communicated with us are using the Sierra 250-grain Game King, Barnes 250-grain Tipped TSX Boat-tail, Speer 270-grain BTSP and the Lehigh 250-grain Controlled Fracture. For the longest range hunting, the 260-grain Nosler Accubond is bonded core bullet with .470BC that will give 400 yard capability. What accuracy are end users experiencing? Reports back from multiple end users are showing consistent accuracy over 5 shot groups of 1/2 inch at 100 yards using both semi-auto and bolt action rifles. Others have shot the 375 RAPTOR out to 200 and 300 yards and are finding accuracy to be less than 1 inch at 200 yards and less than 2 inches at 300 yards. What is the most popular barrel length and twist rate? On the LR308 / AR10, the most popular barrel lengths are 18 and 20 inches with a 10-twist rate using a mid-length gas system. On bolt action rifles, the 20 inch length with a 10-twist rate has been most popular. What is the recoil like? Multiple end-users have reported back that the recoil reminds of them of a 30/30 Winchester in a classic lever action. One end-user specifically commented that his petite spouse tried it and he now has to build a second bolt action rifle since she has laid claim to the first rifle. Another comment regarding recoil is the rifle is enjoyable to shoot with recoil that won’t induce a flinch making them want to get out and shoot it. What game animals have people taken and at what ranges? Reports and photos of end-users taking Grizzly Bear, Caribou, Wild Boar and Feral Hogs out to 200 yards. On the African continent, Wildebeest, Zebra, Eland and even Cape Buffalo have fallen to the 375 RAPTOR.